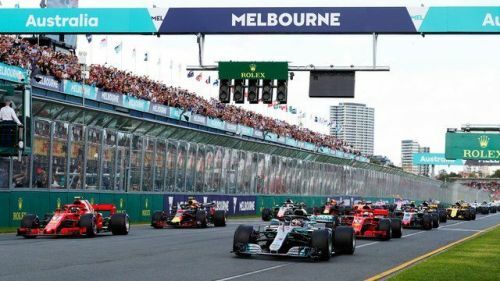 The Albert Park Street circuit in Melbourne will play host to the F1 season opener on the 2019 Formula One Calendar. Reigning World Champion Lewis Hamilton will be chasing his sixth world title with the Mercedes AMG Petronas Formula One team while his title rival Sebastian Vettel will be hoping to win his fifth and end Ferrari's 11-year title drought. The 2019 F1 season promises more overtaking with the change in the aerodynamic regulations. Formula One has also implemented a new rule in which the driver with the fastest lap will be awarded one bonus point. The 2019 season also boasts of the highest number of young drivers on the grid which includes Max Verstappen, Pierre Gasly, Charles Leclerc, Alexander Albon, Lando Norris, and George Russell. Circuit Location: Albert Park Street Circuit, Melbourne, Australia. When is the 2019 Formula One Australian Grand Prix Weekend? The Australian Grand Prix takes place on Sunday, 17 March 2019. The race will begin at 16:10 local time (10:40 Indian Standard Time IST). First Free Practice will be held on 15 March 2019 at 12:00 local time (06:30 IST). Free Practice 2 will also be held on the same day at 16:00 local time (10:30 IST). Free Practice 3 commences at 14:00 local time (08:30 IST) on 16 March 2019 while the Qualifying will start at 17:00 local time (11:30 IST) on the same day. Where to watch F1 Australian Grand Prix in the UK and Europe? Sky Sports have signed an exclusive deal to F1's Live TV rights in the UK. The Australian Grand Prix practice, qualifying, and the race will be telecasted on Sky Sports F1 and Now TV. Where to watch F1 Australian Grand Prix in Australia? The Australian GP is available on Ten, Ten HD and Fox Sports in Australia. Where to watch F1 Australian Grand Prix in the USA? The Live Telecast of the Australian Grand Prix is available on ESPN and ESPN2 in the USA. Where to watch F1 Australian Grand Prix in India? Star Sports Select HD2 will telecast the F1 Australian Grand Prix in India. Online Live Stream of the qualifying and the race is available on Hotstar. What circuit is the Australian Grand Prix held at and how many laps do the drivers race for? The Albert Park Street Circuit will be the venue for the Australian Grand Prix. The drivers must complete 58 laps, totaling 307.574 km. Each lap around the circuit is 5.303 km long. 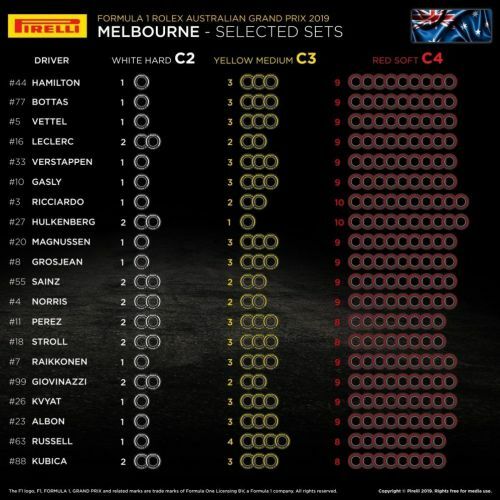 Pirelli has announced that the C4 Red Soft tyres, C3 Yellow Medium and C2 White Hard tyres are available for the Australian Grand Prix. Wet weather and Intermediate tyres are also available for the teams in the rare case of rains. According to Accuweather.com, the race day will be on a bright sunny day. There is no sign of rain throughout the weekend with wind speed being in the range of 18-21 Km/h.